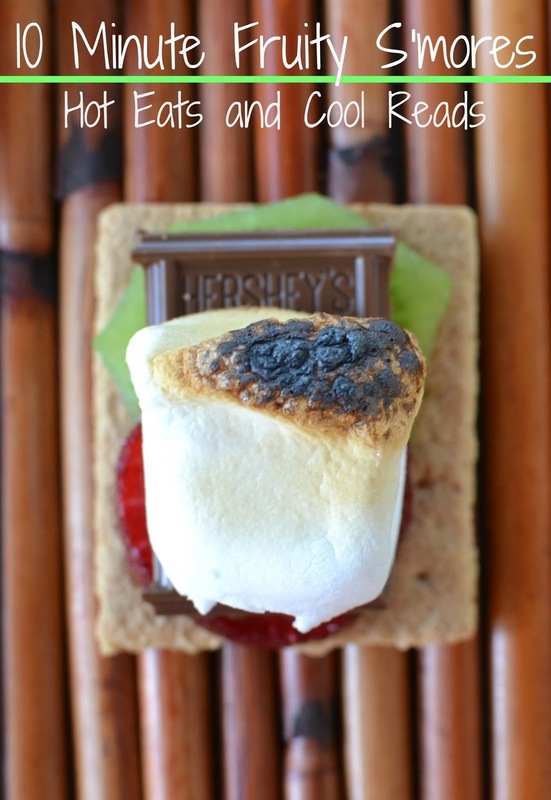 Hot Eats and Cool Reads: 10 Minute Fruity S'mores Recipe for any Summer Get-Together! 10 Minute Fruity S'mores Recipe for any Summer Get-Together! 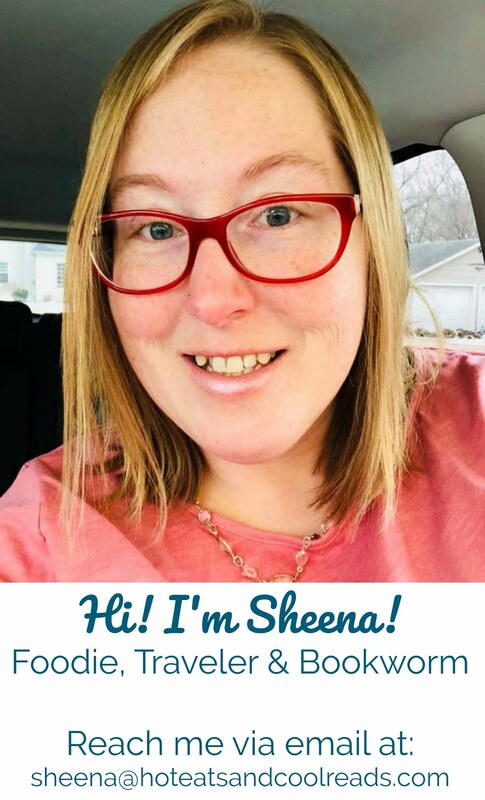 Living in Minnesota and having short summers, we try to fit in as much fun as possible every summer! One of our favorite things to do is sit around a fire pit with family and friends! We spent a Tuesday evening at my brother's house recently and had a blast! The kids swam in the pool for hours and us adults sat around the fire pit, toasted marshmallows and made some amazing 10 Minute Fruity S'mores! The kiddos had to come check out what we were doing and they they joined in on the marshmallow toasting fun too! It was a perfect summertime weeknight dessert! I love the easiness of making s'mores for a sweet treat! In less than 10 minutes including prep, you can have a delicious snack or dessert. They are great for BBQ's, camping or any summertime get together! We used Hershey's Milk Chocolate bars, Honey Maid Graham Cracker Squares and Kraft's Jet Puffed Marshmallows plus fresh strawberries, kiwi and bananas for our S'mores, but any fruit combo would be delicious! I love the addition of the fresh fruit! So perfect for those who love fruit and chocolate together! You don't always need a campfire to make S'mores! Any day can be a S'mores Day! They are also delicious when using the microwave, stove or fireplace to "toast" your marshmallows! Great for rainy or winter days when you can't get outside and use the fire! We love these special moments creating recipes and spending time with our family and friends! So many fun memories are made and everyone leaves with a full belly! It can't get much better than that! Toast marshmallows over an open fire. Assemble s'mores with chocolate bars, graham crackers, marshmallows and fruit. Eat immediately! Right now at Walmart, you can find a special display of 6 pack Hershey's Milk Chocolate bars, Honey Maid Graham Cracker Squares and Kraft's Jet Puffed Marshmallows! Make sure to add them to your shopping list! 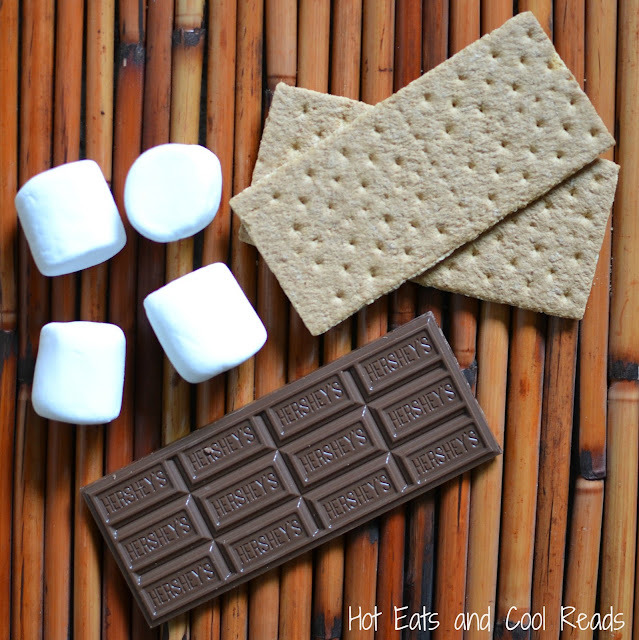 Everything you need for basic S'mores, all in one place! 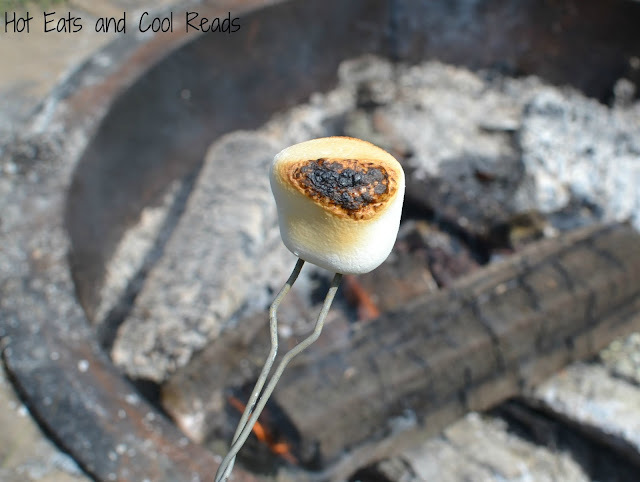 I've shared how we make S'mores special at our family gatherings! Do you add anything special to your S'mores, or do you love them with the basics? I love the idea of adding fruit to S'mores! So yummy!!! I'm gong to try this next time I make them! 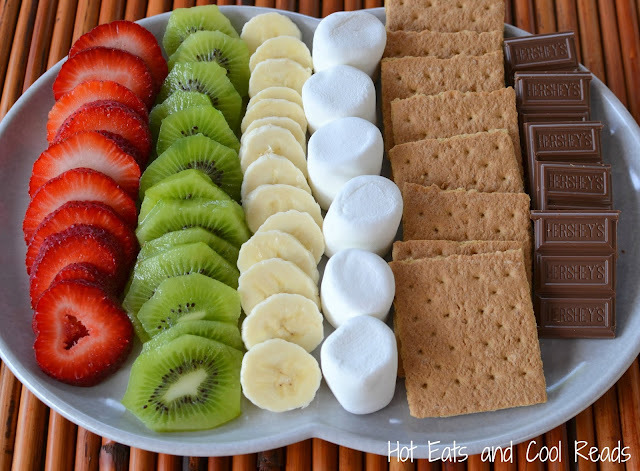 Adding a combination of fruits for S'mores is such a great idea! I would double up on the kiwi! Ok, you convinced me, heading out back to start a fire now and have smores with the kids...fruit added! Kiwis!! OMG everyone forgets about those awesome fruits, including me!